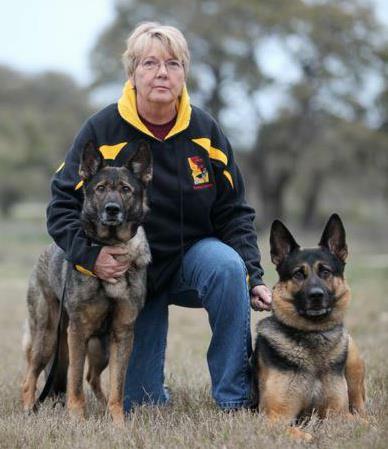 Ann Christensen has been active training and handling search dogs since 1994. She is the President and Founder of Idaho Search & Rescue Dogs, Inc. and is a member of the North American Police Work Dog Association (NAPWDA) where she serves as a SAR Liaison for the organization. In 2009, Ann was appointed the Canine Committee Chair for the National Association for Search and Rescue (NASAR) and served in that position until the committee was disbanded by NASAR in 2015. Ann and her dogs have responded on numerous incidents and have been credited with both live finds and body recoveries. She has worked with numerous local and federal law enforcement agencies and is recognized in Idaho courts as an expert witness regarding cadaver dogs. Ann and her K9s also regularly assist in locating historical gravesites. In addition to working her own dogs in SAR, Ann has taught land cadaver, water cadaver, tracking, and first responder disaster to thousands of dog teams and organizations both in the U.S. and internationally. Bill Dotson began dog training in 1971 when he and his wife became interested in AKC obedience. He later transitioned to Schutzhund (German protection dog sport) in 1975 and then founded and was training director of the California Rescue Dog Association in 1977. He earned "Mission Ready" status with the Swiss Disaster Dog Association after training in Switzerland. From 1978 to 1980, he assisted the Davis California police department as a volunteer police dog team. After moving to Virginia, Bill joined Dogs East and was an operational member from 1982 to 1997. During his long canine career, Bill has responded to a very long list of national and international disasters. Because of his experience, he was tasked with assisting FEMA in the development of their criteria for FEMA Disaster Task Force dog teams. He also worked with Virginia Task Force 2 (VA-TF2) in the development of their K9 teams. Bill is a regular speaker and seminar leader on Search and Rescue, Disaster and Cadaver search dogs. He has taught over 200 seminars and workshops around the world. He has acted as an advisor to numerous search and rescue teams around the world. He is also the founder and President of Applied K9 Technologies. He is also the president of Search Dogs of North America (SDONA) http://www.sdona.org/.